McLean Angling is a New Zealand company supplying fishermen throughout the world with innovative and high quality landing nets and accessories. McLean began making nets in 1987, when it invented the worlds first catch and release Weigh Net. Since then its range of nets has expanded to include many different styles from small brook trout to large salmon. Manufacturing is undertaken in New Zealand with a focus on innovation, quality, and accuracy – McLean Weigh Nets are individually calibrated to guarantee accuracy to within 2oz/ 60g (small weigh), 8oz/220g (large weigh). 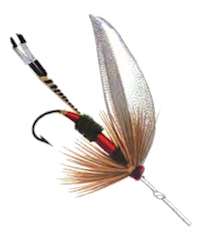 Using high grade materials, strict quality controls, and hand made components, McLean nets are tough and functional to ensure long lasting service for the beginner, experienced angler, or professional guide.